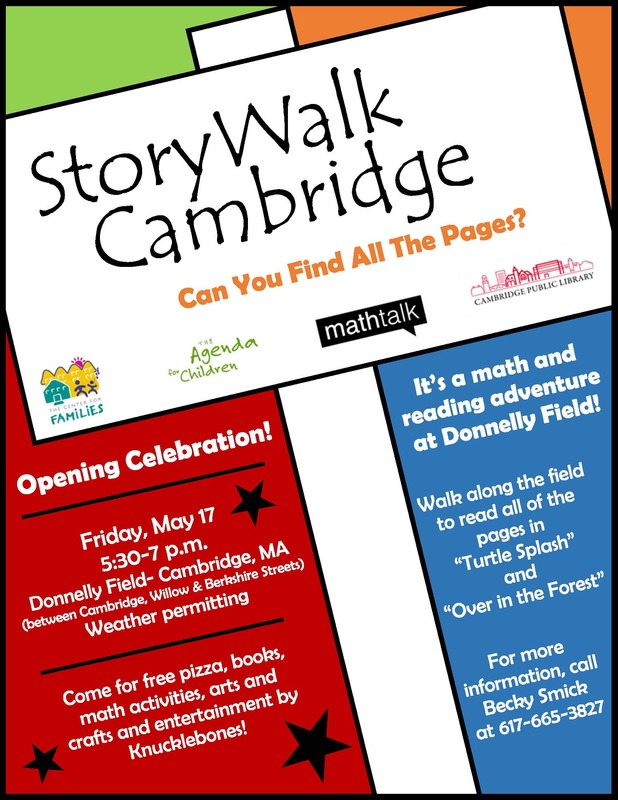 The Agenda for Children, the Center for Families, the Cambridge Public Library and the Cambridge Public Health Department invites families to come and join us for a reading adventure at Donnelly Field. Walk along the field to read all of the pages in the children's books Whoever You Are and I'll Read to You, You Read to Me. Parents and kids can enjoy free pizza, books, arts and crafts, along with entertainment by Knucklebones.